Grassroots Enterprises - Brenda Herchmer Grassroots Enterprises - Article: A Tech Startup? Me? As the result of years of experiencing collaborative learning alongside brilliant colleagues, working ridiculous hours, and dipping into my own hard-earned savings, I own a tech start-up. I should be proud. And yet my reality is that I stumble whenever I talk or even write about the initiative. I realize my mixed emotions are the result of the push and pull I experience between wanting to change the world, and needing to be an entrepreneur in order to make it happen. The truth for me is that my personal journey has always been much more about social innovation and wanting to make the world a better place than it has been about making money. The trouble is that I have a big dream that needs to incorporate elements of both the business and the social profit sector, and, each of those has a very different measuring stick for success. The business sector measures success in terms of economic impact, whereas for nonprofits and charities, success is about being able to successfully address social issues. In other words we’re stacking up money versus humanity and compassion. Of course, we need both. And yet, we seem to separate the two with a very clear dividing line. For me that has created the challenge of not being able to find an infrastructure that addresses the need for both economic impact and social innovation. What do I need that kind of infrastructure for? After many years of working in both government and nonprofit settings, my work resulted in two profound learnings….communities get stronger when their leaders do. And, local leadership is stronger, more relevant, and responsive when business, government, and the social profit sector work together for collective impact and comprehensive community transformation. Those two simple yet extraordinarily complex concepts clearly pointed to the need for a new kind of community leadership—not what we think of as traditional “command and control” leadership but one that is instead focused on the system-thinking needed for transformative change grounded in collaboration, community building, and ultimately the responsive and nimble networks, webs, and meshwork required for both social and economic development. 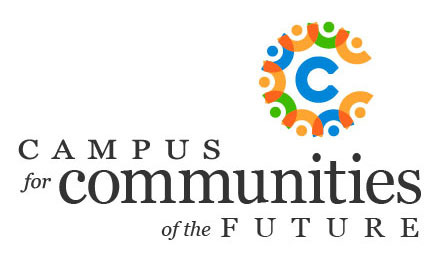 And that is what led me to wanting to build the Campus for Communities of the Future—an online collaborative space where local leaders can connect to share real world community building experiences, how-to’s, and programs designed to inspire transformative and lasting change. While most of my colleagues are able to wrap their heads around the need to invest in the development of local leaders and local community capacity, the fundamentals remained unclear. Is the Campus a business, a non-profit, a cooperative, a social enterprise? Truth be told, I wasn’t and am still not sure. I decided that I would build it, and then working collaboratively with others to figure that out. No surprise then that I’ve resisted the Campus being classified as a non profit. But, on the other hand, it’s not really a business even though I’ve had to apply everything I have ever learned about running a business. In the end I suppose it is a social enterprise with the potential of being a cooperative. Regardless, I do trust that if I continue to work collaboratively with my many wise cohorts, we’ll figure this out together. I do know what I’m trying to put into place is a large scale dream that is the result of real boots-on-the-ground learnings with communities and local leaders—a combination of the best of both grassroots and grasstops learnings. As such I believe it has the potential to play a significant role in changing the world for those who most need it to change. Brenda, Thank you for the opportunity to be of service and help you build the new Campus for Communities website and market the enterprise. You are truly an agent of change and these are very exciting times! Next entry: Are We Paying a Price for the Eclipse of Community?